Shepherd of the Hills Church is offering a group for grandparents (and great-grandparents) at 4 p.m. the first Wednesday of every month at Shepherd of the Hills Church. Grandparents and great-grandparents are important! They have incredible potential to influence the next generation. That’s because they have a unique position, which can impact their grandchildren (and great-grandchildren). But they are often overlooked, ignored and undervalued. Frequently, grandparents are not appreciated as “grand.” They are frequently marginalized as irrelevant old codgers, who have had their day in the sun. As a result, grandparents are often treated as insignificant or peripheral by their families and society. Additionally, many grandparents lack vision, need support and community, or don’t know there are tools that can help them to fulfill their special role. They don’t realize how they can make a difference with the upcoming generation, nor do they access resources that are available to them. Consequently, they do not reach their potential as shapers of young people’s lives. Sadly, little is being done to challenge and equip this huge group — 30 million strong — of generation-changers. This is because the grandparent relationship is unrecognized and not properly resourced in nearly all communities. There are services for parents and children, but nothing that focuses on grandparents and their potential to mentor. Plus, “retirement culture” pushes grandparents to pursue their own pleasure. This compromises their ability to utilize their time and money and other resources to the greater good of their grandchildren. Quite naturally, this widens the gap even further between the generations. Well, it is time to chart a new course! It is time to provide a practical resource to assist grandparents. It is time to help them to carry out their valuable role through envisioning and encouraging and equipping them. Fortunately, that time has arrived! 1. Awaken to your full influence potential by re-igniting your passion for grandparenting. 2. Gain a meaningful vision for grandparenting that resonates with you. 3. Develop as a grandparent through sharing ideas. 4. Learn practical solutions for overcoming obstacles from other grandparents. 5. Discover fun/educational activities and trips to take with your grandchild(ren). 6. Consider life lessons to impart to your grandson and/or granddaughter. 7. Talk about the unique challenges of being a grandparent in today’s world. 8. Discuss openly your concerns regarding your grandchild's health (i.e., physical, mental, emotional, spiritual and social). 9. Cope with being estranged from your grandchild(ren). 10. Deal with raising your grandchild(ren). 11. Think through how to finish strong as a grandparent by developing your lasting legacy. 12. Acquire new supportive friends. Our new enriching group for grandparents (and great-grandparents) meets the first Wednesday of every month at 4 p.m. at Shepherd of the Hills Church. The address is 24300 Bear Valley Road, Tehachapi, CA 93561. These monthly meetings last for approximately one hour. We would love to have you come on out and check out our group! 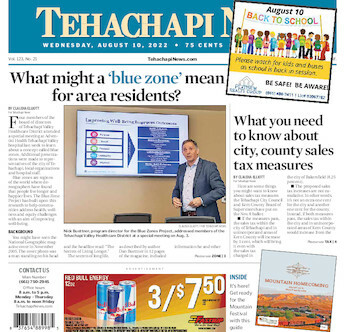 For more information, feel free to call us at 661-822-1400 or write to us at tehachapishepherd@yahoo.com. Jeff Kaplan is senior pastor of Shepherd of the Hills.